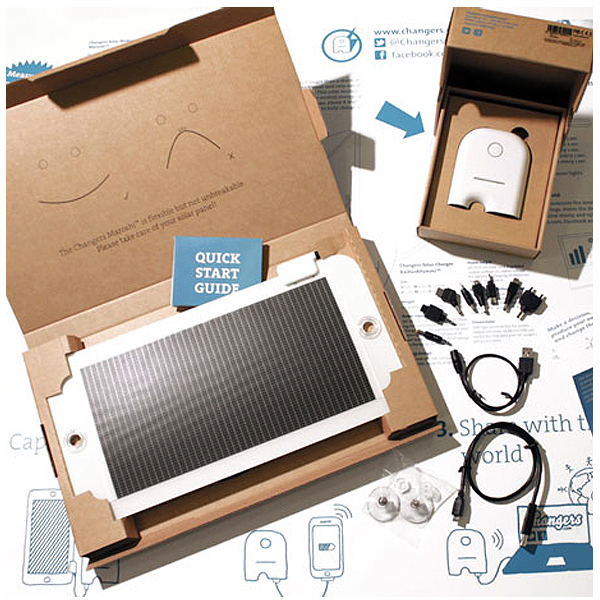 Changers Solar Starter Kit is developed and produced in Germany and offers you a simple and efficient way to start producing your own solar energy. The intelligent solar battery, in combination with the solar panel, is able to charge a variety of portable devices such as smartphones, tablets, etc. with pure green energy. 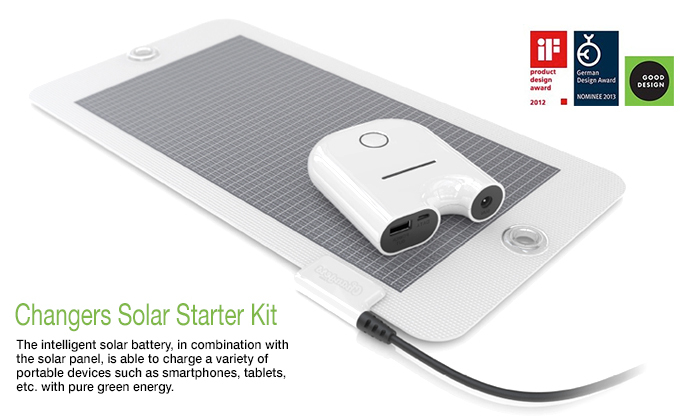 The Starter Kit consists of the light and flexible solar panel Maroshi and the portable solar battery Kalhuohfummi. The solar panel transforms the sun's rays directly into electric energy, which is then stored in the battery. The USB ports and 8 additional adapters ensure the device is compatible with almost every portable device chargeable via USB. The Lithium-Ion battery (4.4 Ah, 3.7 V) can be fully charged via the solar panel in about 4 hours under optimal weather conditions. The Kalhuofummi fits easily in every bag or pocket, and the Maroshi solar panel can be attached to a window with the included suction cups. 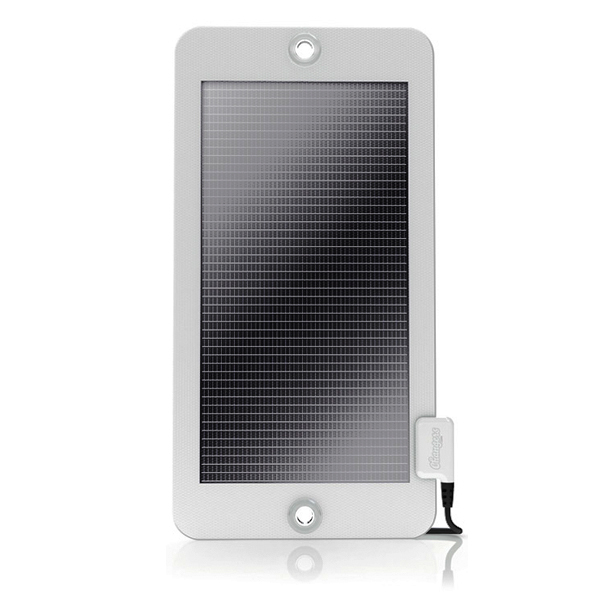 The solar battery is not a common charger as it also measures your generated energy. Both the amount of energy produced by the solar panel and the resulting CO2 saved are available to users. The CO2 savings earn you Changers Credits which can be redeemed on the Changers Marketplace for sustainable goods and services. Protect the device against vibrations and shock. Keep it free from dust andmoisture and ensure it does not overheat. Do not place flammable, explosiveor dangerous objects in the vicinity of the device. 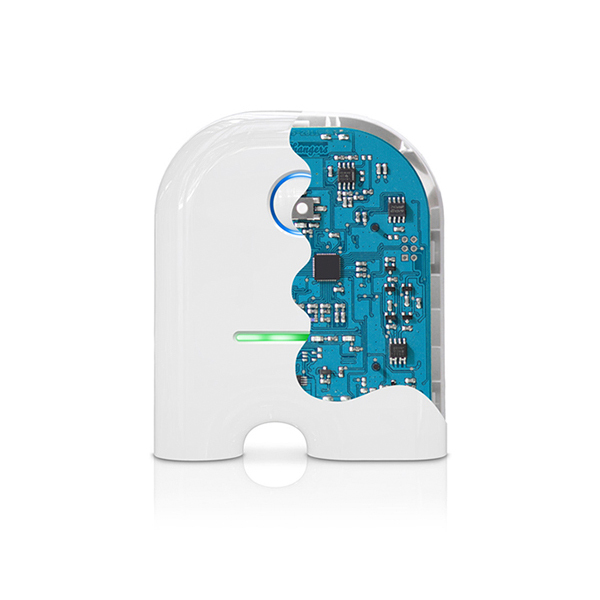 Protect the device from rain, humidity and do not place it in liquid. Never attempt to open the deviceor repair it yourself. Use the device only at a temperature of – 20°C (– 4°F) to +60°C (140°F). If you intend to not use the battery for a long time, store it at least half charged (two LEDs glow in the horizontal battery indicator). Use the battery only with the matching Changers solar modules. Remember, the solar panel is flexible but not unbreakable. Excessivebending may lead to loss of power. Changers.com is a Berlin-based company was founded by Markus Schulz, Daniela Schiffer, Dirk Gamboa and Hans Raffauf in 2010. 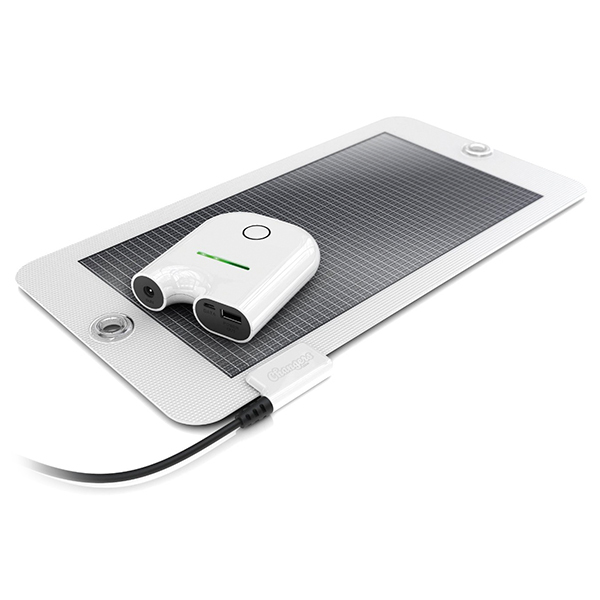 Changers.com produced not only the solar powered charger, but offers more than a green way to charge up your electronic devices. It wants you and your friends to join the greenest social network on the internet to date. Its Solar Starter Kit is the only one up to date allow users stored, accumulating and broadcasting energy savings also earns credits that can be redeemed for goods and services. 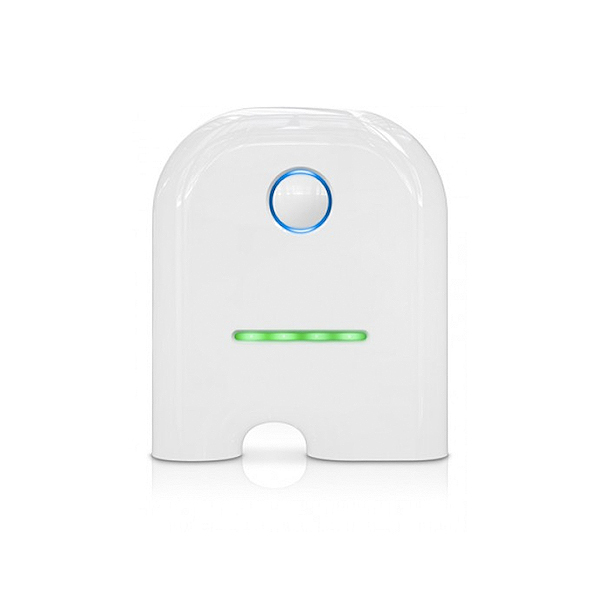 Their starter kit has been awarded with the IF Product Design Award 2012, Green Good Award 2012, and nominated for the German Design Award 2013.